Discussion in 'PatsFans.com - Patriots Fan Forum' started by Biffins, Apr 7, 2019. Look closer at their roster, performance etc. They were right there. Could've beaten Bengals and 49ers in the playoffs. You know, we did stuff. Like, taping the Rams' walk through. 11 of 12 invaders are known Islamic terrorists with signed futures contracts with Patriots"
I thought Aaron Hernandez grew up in Connecticut. They averaged 18ppg when Flutie played a lot and never had a 200yd game. That's what Berry thought. He had zero respect for Doug whatsoever. Because he was the local kid? The small Heisman winner? The scab who crossed picket lines to play the year before during the strike? Well, mainly, because he was not named Tony Eason. He considered Grogan a fossil, Flutie a freak. Neither in a good way. Flutie got his first extended experience in the NFL that year, but was not a baby. That Patriots team was a disaster, on the brink of a 1-4 start when Berry put Flutie in there out of absolute desperation. After saving the game, the team and the season by beating the Colts by himself, Flutie won six more [over three division winners, and only one losing team: the Dolphins (because we beat them twice)], and lost three: the blowout at Green Bay the next week in his first start, at division winner Buffalo by a field goal and later when the officials screwed us at the HoosierDome. 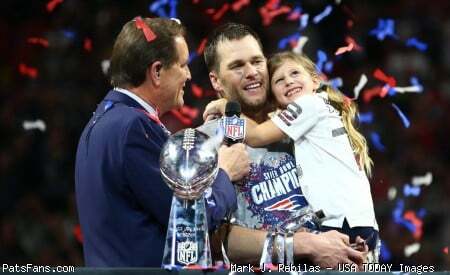 With a physical, veteran, effective defense, an excellent running game (pre-injury rookie Stephens), and recent playoff and Super Bowl experience, the Patriots had a young, talented, reliable, healthy, improving quarterback who rarely turned the ball over. Sound familiar? See 2001. The object is to win the game. Not put up statistics. Flutie never had the opportunity to develop in the NFL. Unlike Young, for example. So he spent the prime of his life north of the border. Another testament to NFL stupidity. In his only playoff start besides the one in Chicago in '87, he threw for 360 yards with a 90.0 rating at the Orange Bowl where the Bills lost by a touchdown, when he fumbled at the Miami 5-yard line with 17 seconds left in the game. He was 36 years old. He got the rug pulled out from under him again a year later in Nashville. I agree with everything you've said. History has proven you to be correct. If he could HAVE stayed. Not "of" stayed. Or, you might use "could've" which sounds like "could of" but is a contraction of "could" and "have." There are so many of those type of things that make me want to step in and correct. One is the "could care less" mistake. It's "couldn't care less." However, the one that bothers me the most is the one that my wife does and has passed on to our two sons. Anytime she mentions herself in a sentence it's "me and dad" did this or "me and dad" did that. I've told her over and over that it's "dad and I" or "dad and me" but never the other way around. I've been cringing over that one for more than 40 years. It's hardly Raymond's fault. He was dumber than a potted plant. Think he was just pandering to the Jets crowd. I don't really have any hate for Revis, I love that his only ring is with the Patriots. So you’re ok with Marshall Faulk pandering to the Rams, Mangini pandering to the Jets, Brunel pandering to ESPN, etc. Sorry, I don’t like someone who goes out of his way to throw the Patriots under the bus. Mangini didn’t lie and actually had some proof. Revis was just piling on a slander AFTER he knowingly broke NFL rules regarding negotiating with the Jets while under contract to the Patriots. This is a statement you don't see frequently. Well, the Bengals were undefeated when they came to Foxboro and the Patriots handed them their first loss on October 16th (just like the Chiefs did last October 14th). And they led the league in offense and were outstanding at home (just like the Chiefs last year). Even with our miserable start, if Berry simply doesn't bench his only effective QB we beat Denver and finish 10-6, same record as the 49ers. The Patriots' defense (ranked 5th in the NFL) was much better than the Bengals'. John Stephens was better than Ickey Woods. Flutie was better than Boomer Esiason. In annihilating the Bills in the AFCCG, the Bengals held the ball for almost 40 minutes, and Buffalo was putrid on offense. So, while the Bengals were favored by 4 over the Bills, they probably would have got more than a touchdown over the perennially disrespected Pats. However, New England had recent playoff experience in '85 and '86, whereas the Bills - and the Bengals - had none. Even Flutie had playoff experience in Chicago. Given all the facts and intangibles, I give the Pats an excellent chance to get to Miami. Yes, the 49ers were an imposing obstacle, but their coaches were less familiar with the Patriots - and Flutie. Like all his games in college and the pros, Flutie was the huge wild card. Everybody had trouble against him, with the game on the line. They guy won. Just like our QB today. Seriously, "Resiliancy" is not a word. My brother in law says that Revis was better than Ty Law..
Just no. The guy is a Jet. He never seemed like he wanted to be here. He didn’t play all that well that year either. He got torched a lot in the playoff games leading up to the super bowl and had no intentions of staying beyond a year. Just no. He didn’t play all that well that year either. Revis was All-Pro that year. And the NFL Top 100 ranking (which is voted on by NFL players and usually reflects the players performance in the previous year) had Revis at Number 17 overall and 3rd Patriot behind Brady and Gronk which I think adequately reflects his importance and contribution to the 2014 team. For the record there was only 1 other Patriot in that Top 100 list, Edelman at 88. Nate Solder, Chandler Jones, Jamie Collins, Donta Hightower, Devin McCourty etc were not included in Top 100. Revis was fantastic in 2014 for us. That's not up for debate. I would not let Whore24 buy a ticket to the Patriots HOF. He had had 1 decent year with the Patriots in return he got a ring (no thanks to him in the SB) and sent his mother to pick it up. Used his time with the Patriots to fleece money out of Woody Johnson. I was glad to see go back to the Jets. So you can count me as a no vote. Waiting for Brandon Browner to get out of prison... it’s only fair. He wasn't nearly the player he'd been for the Jets. And, I might note, most of the players voting wouldn't have seen him play at all unless they played the Pats.